Being a quality oriented and customer centric organisation, we have been involved in providing a qualitative and unique range of Cool Rooms – pre-quoted rooms that maintain temperature as per the product need. We have been offering Cool Rooms, which are developed on large and small scale as per the requirements and given preferences of our prestigious clients. Backed by a team of knowledgeable and professionals technicians, we have been developing, fabricating and supplying an extensive range of Cool Rooms, which are designed with utmost precision and fabricated from quality proven materials and techniques so that they only produce quality and performance. We keep track with the market development and take care of our client’s requirements and specifications of Melbourne Refrigeration. 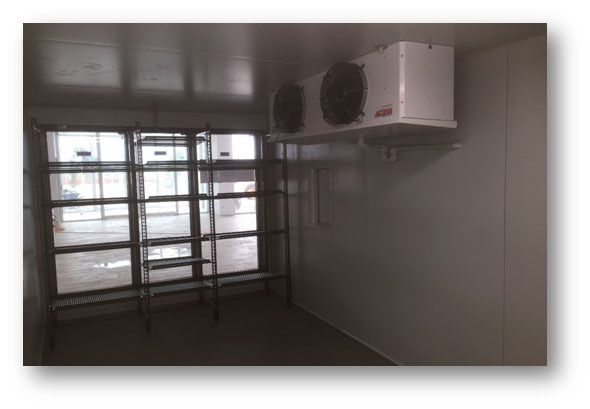 Owing to their quality features like sturdy construction, flawless finish, low maintenance, damage resistance, efficient strength and portable structure, our Cool Rooms are widely appreciated by our clients in Melbourne and across Australia as well as the United Kingdom. Our Melbourne Refrigeration services are innovatively designed to meet the challenges posed by the changing trends of the modern world. Our solutions are highly customizable and they cater to the requirements of large and small industries including food processing, warehouses, food retail, hospitality, dairy & ice cream industry, meat, chicken & fish processing industry, pharmaceuticals and several others. They assist in storing farm products, freezing, storing cooked and semi-cooked poultry, seafood, fruits & vegetables. Additionally, our excellent quality Cool Rooms can be availed at the most affordable and competitive prices within the market. From design, purchasing, installing and commissioning Air & Ice will take care of all your Melbourne refrigeration and commercial refrigeration needs to ensure your products are kept in a controlled environment and at the desired temperature. Our fully qualified friendly mechanics will listen to your needs and work with you from start to finish keeping your refrigeration or commercial refrigeration Melbourne project updated. 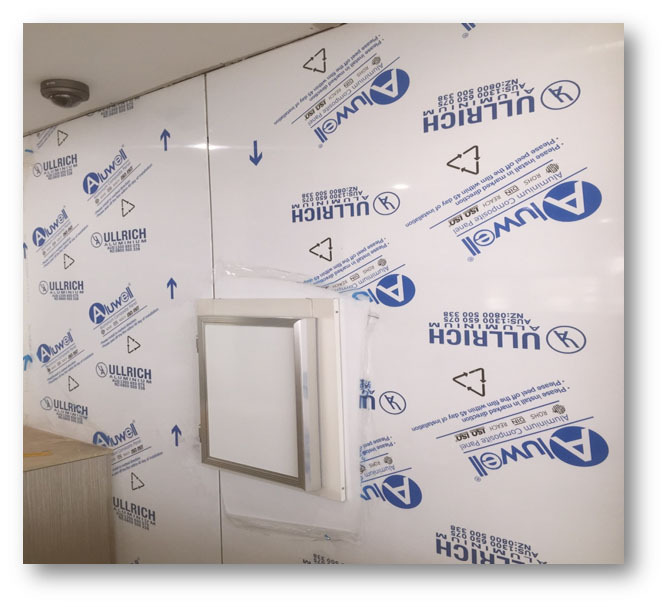 Some of our customers have wanted service hatches installed in their cool rooms to allow them quick access to milk and other products typically stored in a commercial refrigeration room. Air & Ice display glass doors all come with heaters and are fitted with LED lighting to help reduce energy bills and make your display look great.